As I've writen in my earlier post, most of the central European Pirate Parties are getting ready for the elections. This literally means Germany, Luxembourg, Austria and the Czech Republic. After a long work the foundation of the Pirate Party Europe entered one of it's final stages. As the month of September started, the elections in Germany (22nd September), Czech Republic (25 - 26th October) and Luxembourg (20th October) are closing. I attach importance to personal impressions, they are subjective of course, but they are reality, non-said, subjective reality, and they are also probably feed by external, “wire-less” vibrations. You can feel in the air when an entity is alive also because of the waves it spreads all around, and sometimes you get its message. “Without words”. Mithilfe der deutschen Piraten (siehe Link) waren wir in der Lage einen Beantwortungs-Leitfaden für die Umfrage der EU-Kommission zu Immaterialgüterrechten in Bezug auf Betriebsgeheimnisse zu erstellen. Fellow-Pirate and newest intern at Amelia’s office (Hello world, nice meeting you!) reporting on Hannover weekend. On Sunday the 20st of January there were the local state parliament elections in Lower Saxony, Germany. Aim: 5% of votes in order to get a parliament seat. Stake: entering the federal parliament in the next national election in September. Last sunday, the Pirate Party Germany reached another milestone. With 7.8 percent of the vote, 20 pirates are entering the parliament of Germany's most populous state, North Rhine-Westphalia (NRW). The Pirate Party is now present in four of Germany's 16 states, having scored well above 5 percent in every election since the Berlin elections in September 2011. The 20 delegates make up the largest Pirate parliamentary group to date. Last month, the northern German town of Neumünster saw well over 1500 pirates, as well as hundreds of press representatives and guests gather for the Pirate Party Germany's national assembly, making it the largest gathering in the history of the party. Since entering the Berlin state parliament in late 2011, the Pirate Party Germany (PP-DE) has not only doubled in size, but has also started raising international attention. Short version: There are transtition protocols that need to be signed before we can be MEPs. France and the UK may have almost signed by now. Belgium and Greece have still not signed. It is uncertain whether there may be additional delays until the French national elections in april 2012. 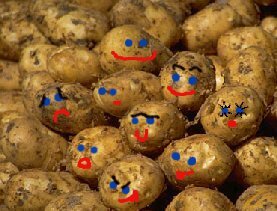 "You would not believe it, but we are very protected by various intellectual property rights - geographical indications, plant variety rights and patents can all be used to keep us from proliferating and you from growing or selling potatos."